Late 2012 and the start of 2013 brought back artists from the 60’s and 70’s with their new albums. One of which being the great Bob Dylan. For those unfortunate enough and don’t know who Bob Dylan is an American musician which took off during the 60’s and his legacy continues to date. Bob Dylan was responsible for famous songs such as ‘Blowin in the wind’ and ‘The times they are changing’ and is one of my most favourite artists. In the late months of 2013, we were graced by another album from the musician. ‘Tempest’ although not the most easy listening album of all time, it has to be appreciated that it is fantastic from a 71 year old. Despite Dylan’s voice not always being the cleanest, old age is certainly shown throughout this album more as it has a croaky tone throughout. However don’t let this put you off the album. 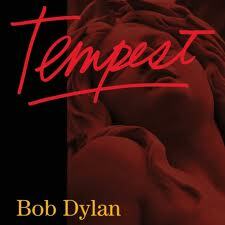 It gives the album a Tom Waits feel to it which has to be admired, and the lyrics within are on top of their game. The album been given 5 stars out of 5 by the Rolling Stones magazine. The story telling feel, we all love about Bob Dylan continues throughout and once you put past the fact he does not sound the same as he did when in his 20’s and 30’s, then you can appreciate a work of art, which is this album. The question is… Is it the best album from a 71 year old? It could just be. 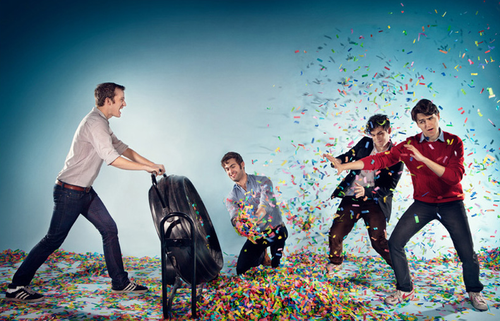 Vampire Weekend, the New York formed Indie band took the world with storm with their self titled album in 2008. The hit song ‘A-punk’ from the album reached Rolling stones number 4 in best songs of 2008. This album was followed up in 2009 with the Contra album continuing the bright and happy indie sound from the band. The new album set to be released in May this year. Going by the songs released by Vampire Weekend in the run up to the outing of the album it portrays a different sound of the band. In songs such as ‘Step’ a much darker sound is created, none the less I will be very excited about the release of this album, I like what the band have released so far and hope this continues. I thought I would use this as an oppurtunity to share some of the albums, I am excited about, that are set to be released throughout this year. 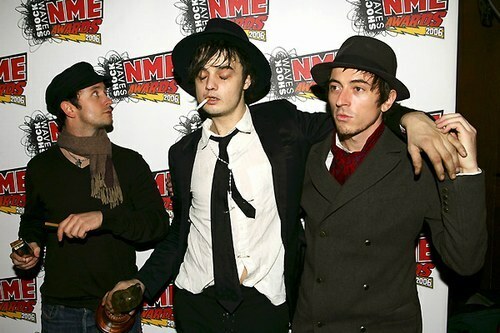 Pete Doherty is one of my favourite artists. Despite the cancelation of his last two glasgow concerts, he still is held in high regards with me and is maintained in my opinion, one of the greatest musicians of our time, despite scandels. Arguments are held daily on which band is the better, The Libertines or Babyshambles, none the less any true Doherty fan will be able to see that both bands have fantastic songs. This makes the release of the Babyshambles album this year all the more spectacular as we pray and hope for a track as well done as Albion or Killamangiro. 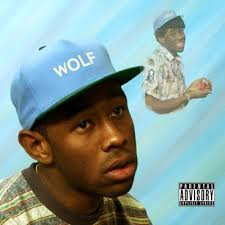 Last Night I bought the WOLF album by Tyler the creator. This is one of the albums I have been waiting on since I first heard the Californian artist. The introduction of this album shows just exactly how far the artist has come from that first album B****** released by him not so long ago. The album is jam packed of enjoyable instrumental beats with well done and intellectual lyrics throughout. The album also features many of the OFWGKTA collective making it all the more interesting. Personally I dont like the album as much as the first two however it is still a good album and it will maintain a strong spot on my Itunes. 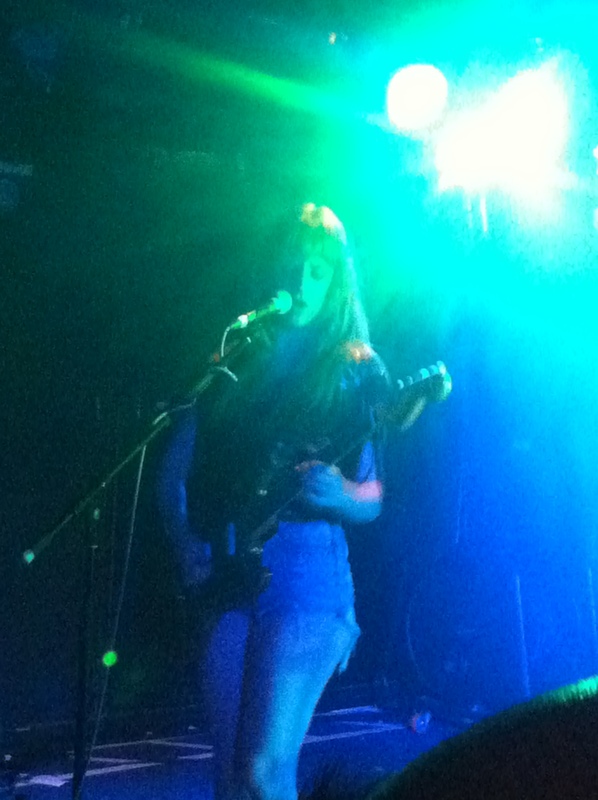 Recently I had the pleasure in seeing Deap Vally, live at the King Tuts Wah Wah in Glasgow. Deap Vally are a rock duo formed in Los Angeles in California consisting of a guitarist and vocalist Lindsey and Julie on drums. The girls have been taken intimate venues with storm across the UK. They have had great success and have supported some of the worlds most famous bands, Muse and Eagles of Death Metal. Their music consists of a rock- dirty blues genre with comparisons to White Stripes can be made. Their glasgow gig was a success with the strong vocals being complimented by hard drumming and guitar. Overall in my opninion I loved it and these girls have gained a strong spot in my favourite bands at the moment. This is definitely a band worth checking out! Frank Ocean, Tyler and Earl are the most recent additions to the T in the Park line up. The three are part of a Los Angeles formed group hip-hop based group, OFWGKTA (Odd Future Wolf Gang Kill Them All). As Odd Future are one my favourite bands it has influenced me to try and get a ticket for the Kinross festival. Odd Future are a hip hop collective and is led By Tyler The Creator. 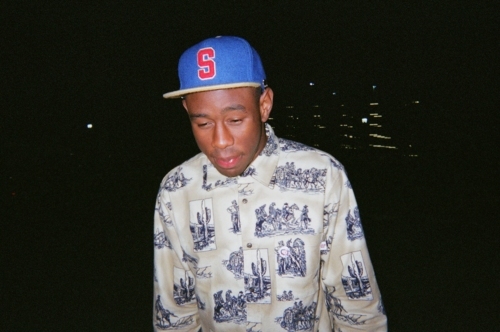 The group includes Frank Ocean, Earl Sweatshirt, Left-Brain and Hodgy Beats plus many more. The group is said to have at least 30 members. When not making music a part of the group have their own television show : ‘Loiter Squad’. Frank Ocean will be a eagerly anticipated act of the weekend by many. This will be the Grammy and Brit award winner’s first visit to Scotland to perform live. Ocean will be set to perform tracks from award winning album Channel Orange and Hit album Nostalgia. Frank Ocean has shot through in terms of success throughout 2012 as he recieved a total of 6 nominations at the Grammy awards. Tyler the creator and Earl Sweatshirt will use this as an oppurtunity to promote new upcoming albums WOLF and DORIS. 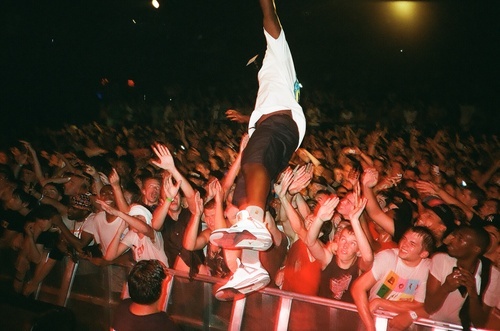 This will be Tyler the creators second performance at the scottish festival. The Odd Future group have been known for elaborate and wild performances and hopefully this will be shown at T in The Park! The Scottish festival T in the park announced its latest line up prior to the final batch of tickets being sold. 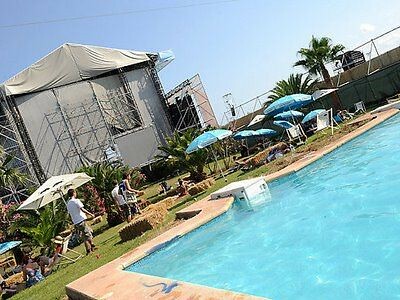 This year will be the 20th anniversary of the festival and their are high expectations. New acts such as Kendrick Lamar, Frightened rabbit and Kraftwerk have been announced will join along side the stage of head-liners Mumford & Sons, The killers and Rihanna. The Rockness line up this year can be seen as disappointing as the line-up has not lived up to previous years. With the headlining acts this year being Plan B & Fat Boy Slim it begs the question does this line up compare in any shape to last years with Biffy Clyro, Mumford & Sons and Deadmau5. Fans this year have seen the disappointment and looked to other festivals outwith Scotland. Due to last years sodden mess of the T in the park festival, many have looked further out. Bennicassim (Valencia, festival) will have an enthralling amount of Brits this year as they try to evade the wet weather and look for sunshine. Those making the effort to Valencia will have the opportunity to see many of the acts that are at T in the park such as The Killers, Jake Bugg and Azealia Banks however fans will relish the opportunity to see such head-liners as Arctic Monkeys and Queens of the Stone age and many more at this sunshine festival. The Scot’s boys have been recently nominated for a London Music Award to which the band have said ” it’s a dream of psychedelic trophies, an album that takes what it means to be an ‘indie band’ and give it a good shake. 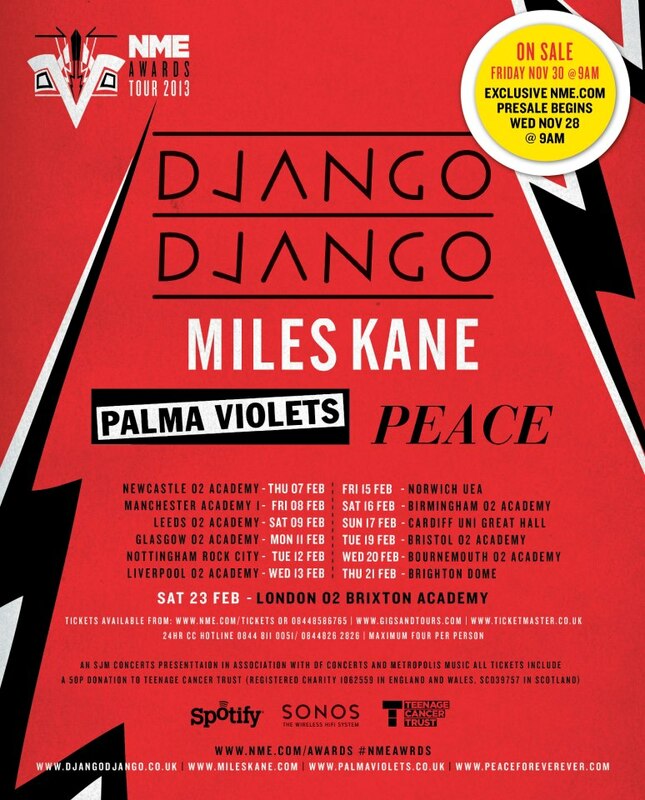 The boys will be joined by other such headliners as Miles Kane and Palma Violets on the tour. The tour is a key moment for the bands to go bigger as the NME awards tour helped kickstart the careers of Coldplay, Florence and the machine and Franz Ferdinand. With the reduction in sales tickets for the tour over the past years could Django Django fill the void the tour needs? Over the recent years, Glasgow has witnessed an increasing amount of fans within the Rap/Hip-Hop community. This can be seen through the many concerts up and coming within Glasgow. For example the o2 Academy in Glasgow will cater to the biggest names in hip hop over the next month, Grandmaster Flash & Public Enemy. However this spread does not stop at the concert doors. In August, one of the most well known rap artists, Eminem, will play to a sold out crowd at Bellahouston Park. The venue has been used for events such as Papal Visits, never has it been used for Rap music. Could this be a change for Scotland? In music from the indie scene Scotland’s own Frightened Rabbit have released their fourth album ‘Pedestrian Verse’. This album has taken off with many positive reviews from such magazines as NME. Frightened Rabbit’s lead singer Scott Hutchinson conveys an emotional yet powerful voice that proceeds itself both on the album and live in concert. This band will be playing at Glasgow’s own The barrowlands on the 28th of February. 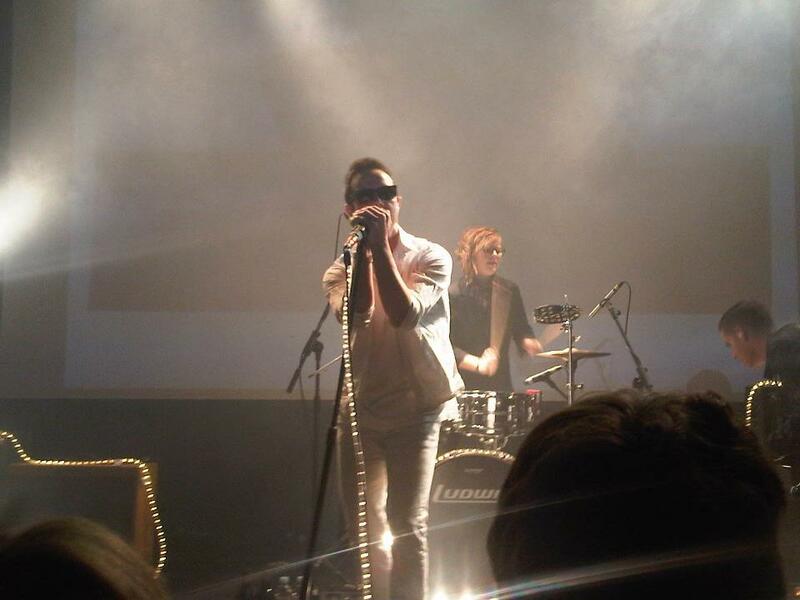 Glasvegas, one of Glasgow’s most successful indie artists, have sold out once again. Many fans were left happy but many disappointed when Glasvegas announced a ‘one-off’ concert in The King Tuts Wah Wah in Glasgow. The tickets went on sale on Wednesday but were sold out it minutes. With the upcoming third album of the band, fans seen it as a key moment to grab a ticket in order to hear the new sound. From my personal opinion if you ever get an opportunity to see this band, I would recommend it. Hi my name is Paul . I am currently studying Media and Communication at Glasgow Caledonian University and this course has given me the opportunity to create this blog. Music plays a large role within my life and I am using this opportunity in order to express my opinions. This blog aims to please the Glasgow audience by providing weekly reviews and information on the freshest and hottest concerts in Glasgow. The latest band I have seen live was Glasgow’s own Glasvegas and I feel this will sum up the genre of the music to come.